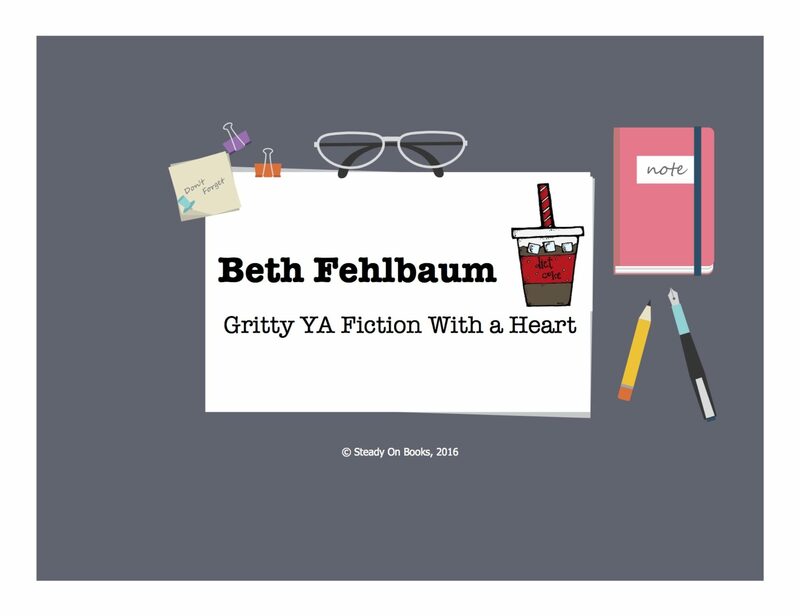 Mission High School Library had the pleasure of hosting Beth Fehlbaum this fall. She spoke to over 350 of our students. Her presentation had them all hanging on her every word. She welcomed their questions and gave them honest answers. Many of them stayed behind to talk to her about their experiences and many stopped just to give her a hug, it was something to see. In my 6 years hosting authors at our library, I can honestly say no one has captured the attention of the masses quite like Beth. Her message is powerful, inspiring and hopeful. Beth Fehlbaum visited my school Library last Friday at Cano Freshman Academy in Harlingen, Texas, for an Author’s Visit. Beth was very engaging and informative, and my students loved her. She not only booktalked her books, but provided a presentation on how writing can be therapeutic to students. She encouraged them to write anything that they felt and get their ideas and thoughts out on whatever it is that they are dealing with. I work with fourteen and fifteen year old students whose attention is not easily kept, but she held their attention through their entire presentation, and at the end of the day I had multiple students asking to borrow the book and e-book! She made her entire presentation herself through Prezis and showed booktrailers that she has made as well as found on her books. My students loved seeing someone who has actually been published and have had success in writing in the flesh. Her technology use is great and she was very prepared In advance and was able to send me her presentation ahead of time. Beth has a very genuine heart and it shines through her presentations. She uses her teaching experience to captivate an audience and hold them until the very end. She made a huge impression on my students, my staff, and myself. I highly recommend her for any speaking positions and also as a presenter. Beth was amazing, and I loved having her in my library. Please feel free to contact me with any questions or any way that I can be of help. Next PostNext Hey! Get the COURAGE IN PATIENCE ebook free, 12/14-12/18!